TOKYO, JAPAN - SEPTEMBER 11TH, 2018. 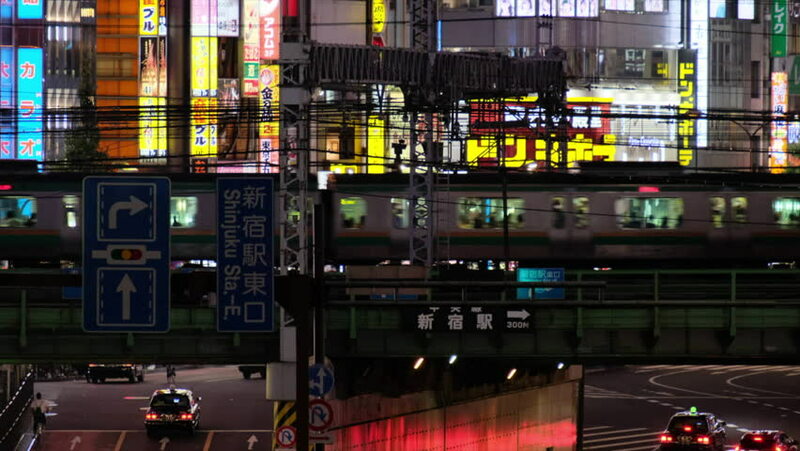 Commuter train passing on a road bridge in Kabukicho street at night. 4k00:12TOKYO, JAPAN - SEPTEMBER 11TH, 2018. Commuter train passing on a road bridge in Kabukicho street at night. 4k00:14TOKYO, JAPAN - SEPTEMBER 11TH, 2018. Commuter train passing on a road bridge in Kabukicho street at night. 4k00:14TOKYO, JAPAN - SEPTEMBER 11TH, 2018. Illuminated businesses signs at Kabukicho street at night. 4k00:18Bangkok, Thailand - 21 OCT 2017: Night Life in Popular Touristic Place Near Siam Paragon Shopping Center. 4K. hd00:25Editorial footage, Metro Cash and Carry, Perm city, Russia - September 28, 2016: The camera on the trolley, people buy food in large supermarket..Metro - Large network of retail and wholesale stores. hd00:07Seoul City 126) Time lapse of traffic in Seoul, Korea.